The IWR offers various training sessions, workshops, demonstrations, and webinars to help groups understand issues such as but not limited to invasive species, lake management, nonpoint source pollution, surface-groundwater interactions, low impact practices, and harmful algal blooms. Below are select training and outreach materials from some of these activities. You will also find training materials on how to use our various online tools. This online social media series was created in coordination with partners at the University of Michigan School of Information as part of the Great Lakes Clean Communities Network (GLCCN), supported by the Great Lakes Protection Fund. It was designed specifically with non-profit organizations in mind and contains a wealth of information about how organizations can become more effective and efficient with bringing far-reaching attention to their environmental and conservation efforts using social media. 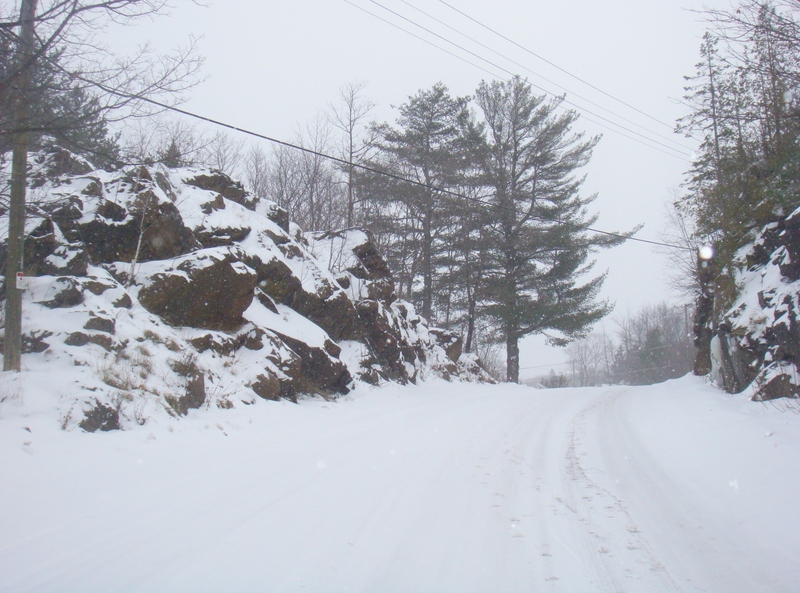 The Great Lakes Regional Water Program provided funding to develop a winter maintenance handbook and training program for Michigan. The Michigan program is based off of successful efforts in Minnesota. The handbook and training cover topics such as salt and snow storage, anti-icing, de-icing, calibration, chemical processes, integrating liquids into your winter maintenance program, Michigan success stories, and environmental protection. The handbook and training materials are available for download using the link below. The Institute of Water Research helped coordinate a webinar to review the NRCS Edge of Field Monitoring program. 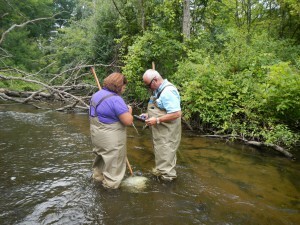 The webinar featured speakers from the Michigan NRCS Office and Wisconsin USGS Science Center. Reference documents are below. This section contains various training materials for our online tools including manuals, presentations, online videos and tutorials. eWatershed (formerly ELUCID) is one of our Watershed Analysis tools. The most recent system was developed in for the Flint River Watershed through a Great Lakes Restoration Initiative project funded by the EPA. Several training sessions were held for field staff, watershed professionals and other stakeholders involved with the project. Use the links below to download copies of these training materials. Download the eWatershed tutorial or training presentation. Download the middle school lesson activity. Download a white paper about eWatershed. The Great Lakes Watershed Management System (GLWMS) is one of our decision support tools and allows you to model BMP or land cover change scenarios on the fly. The video provides an overview of how the GLWMS has been used by the Gratiot County Conservation District and contains a live demonstration from March 2015. Additional training opportunities will available in 2015 by The Nature Conservancy in coordination with the Michigan Agri-Business Association and the IWR through a Regional Conservation Partnership Program project funded by the USDA NRCS. High Impact Targeting (HIT) is one of our decision support tools that examines erosion and sediment loading across the entire Great Lakes Basin. 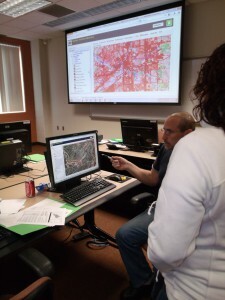 With support provided by the U.S. Army Corps of Engineers (USACE) Detroit District, the IWR developed training materials for HIT as part of a joint project with the Department of Agricultural & Biological Engineering at Purdue University. Download these materials below or watch the multi-part video series to the right. Download the manual or glossary. Note: The HIT system is currently unavailable for public use. Contact iwr@msu.edu with questions. The USACE Buffalo District is currently providing training on HIT through their Sediment Transport Analysis and Regional Training (START) program. If you are interested in hosting or participating in one of these training sessions, please contact Brent LaSpada at brent.r.laspada@usace.army.mil. The Social Indicators Data Management and Analysis (SIDMA) system is a powerful surveying tool to assess social indicators. This online project management aid, developed as part of the Social Indicators Planning and Evaluation System (SIPES) project, allows users to easily create surveys with vetted questions, and analyze and compare results. With support from the EPA Region 5 and the Great Lakes Regional Water Program, the IWR developed a ten-part online tutorial series on how to use SIDMA, available here. Topics covered include developing and customizing surveys, inputting responses, and analyzing and comparing response data.